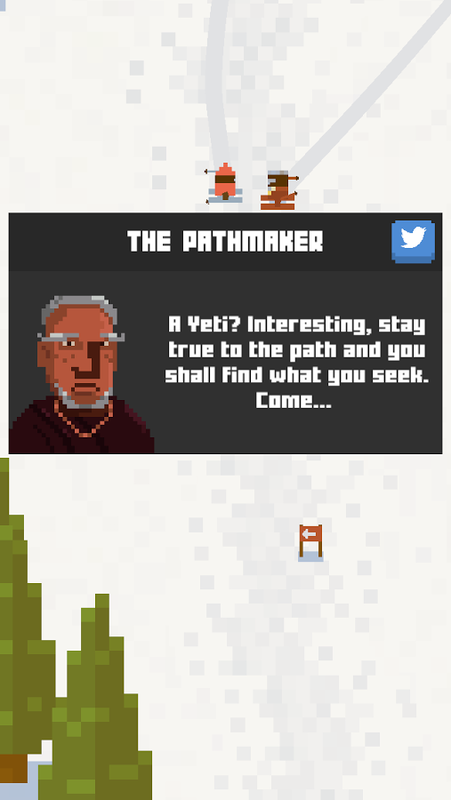 If a mountain is infested with Yetis, you should probably ski someplace else. Even one Yeti is probably too many. 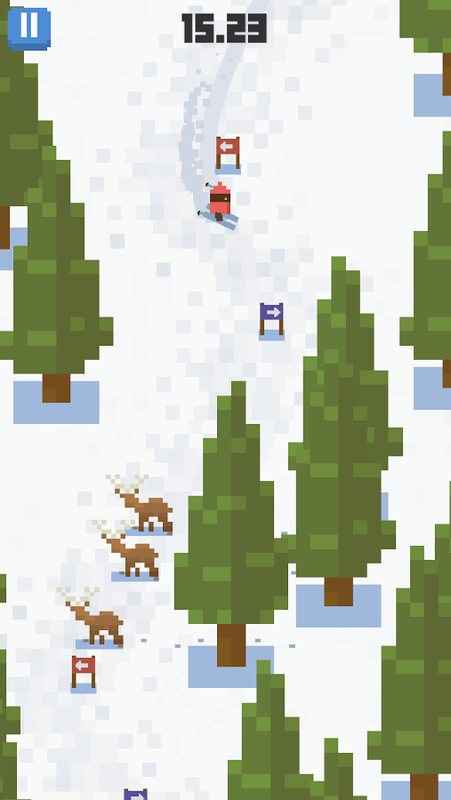 Still, everyone is hitting the slopes in Skiing Yeti Mountain. This game has hundreds of courses to tear up and an undisclosed number of Yetis to avoid. 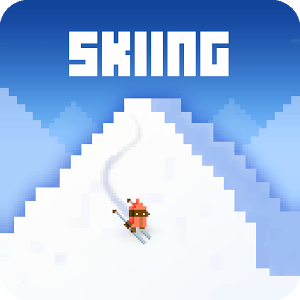 The premise of this game probably sounds similar to the classic SkiFree game on Windows. This is a much more fleshed out game, though. 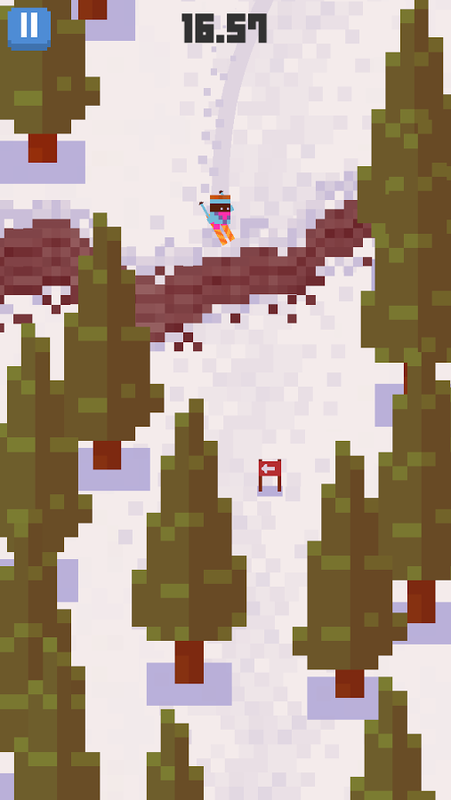 Each course has a number of gates spread out on the snow with cliffs and trees in your way. You control your character by pressing and dragging left and right on the screen to change directions. Each course only takes a few seconds, but you have to start over each time you take a gate on the wrong side or you hit a tree/yeti. 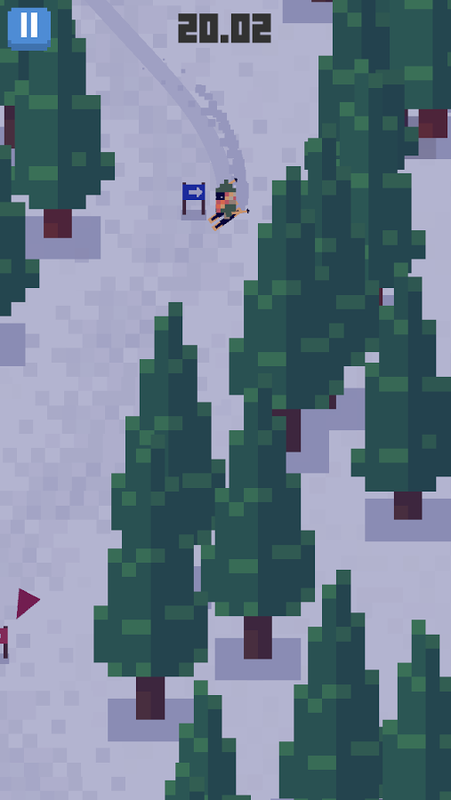 The game is very roughly pixelated, but the animations look quite modern. You can take a look for free if you don't mind the occasional ad. If you buy the ad-free version for $2.99, the developer is giving half the money to Nepal earthquake relief efforts.